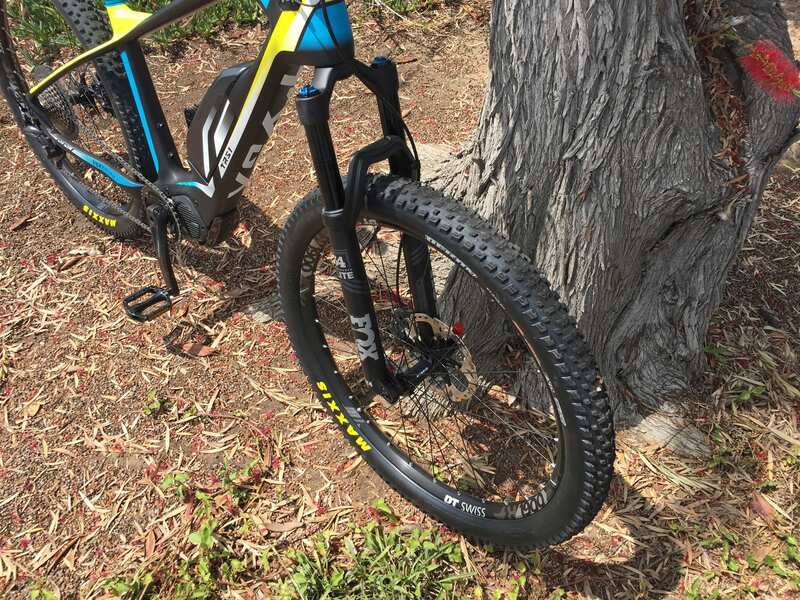 FSA, Integrated, Internal Cups, Sealed Cartridge Bearing, Tapered 1-1/8" to 1-1/4"
Maxxis Rekon, 27.5" x 2.6"
Over the past several years, reviewing BESV electric bike products, I have begun to recognize and appreciate the relative high quality and very custom designs on offer. Whether it’s a small triangular battery pack as seen on the compact PSA1, a head-tube integrated light as seen on the CF1, or a completely custom LCD control panel and stem as seen on the LX1, there’s usually something special to be found. 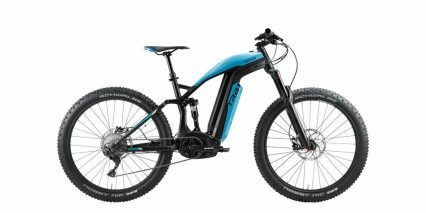 With the TRS1, BESV has left most of the electronics, battery, and drive systems alone… leaving that to Shimano. 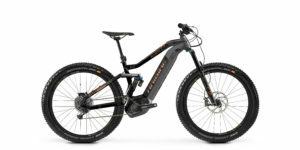 Instead, they focused on designing the lightest carbon fiber frame possible, producing it in three sizes, and integrating the speed sensor and battery pack as tightly and securely as possible. 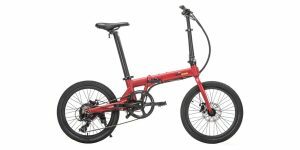 There’s only one color scheme on offer, but it looks great in my opinion, and really ties the battery pack into the look of the frame. By using the stock Shimano battery, BESV has made it easier to rent or borrow additional packs (in the event that you’re traveling by air, where larger Lithium-ion batteries usually cannot be carried along). These packs are probably going to cost less to replace, and I like how they tip in from the side. 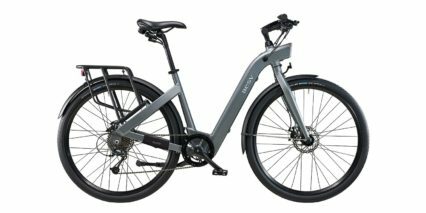 This is a fairly stealthy electric bike, in large part because of how small and neatly integrated the Shimano E8000 motor is. 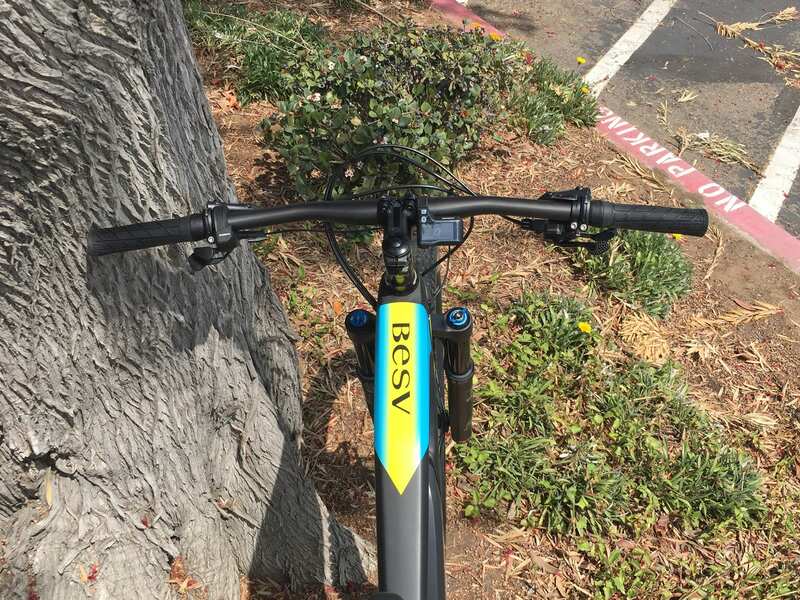 BESV really opened themselves up to the great components that Shimano offers here, including a carbon seat post, and carbon handlebar (both labeled Pro, which is a Shimano brand). 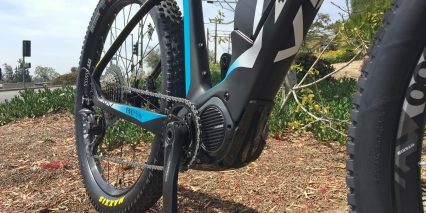 The 11-speed Shimano drivetrain offers excellent range with a wide 11 to 46 tooth cassette and Deore XT derailleur with one-way clutch (to keep the chain tight when riding off-road). Even the chainring has been upgraded to offer a narrow-wide tooth pattern, in order to reduce drops and chain slip. 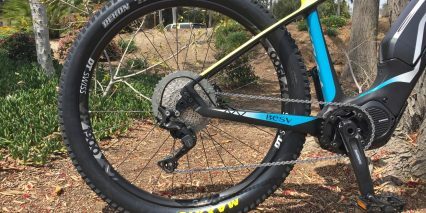 The chainring is made from steel which makes it sturdier than aluminum alloy… With up to 70 Newton meters of torque on offer from the motor, and no shift detection, it’s great that the drivetrain parts are specced higher and overbuilt. It really depends on how you shift gears, ideally easing off a bit as you press the triggers near the right grip, for how well the drivetrain will hold up between servicing and part replacement over the longterm. 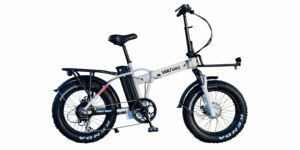 Unlike many heavier electric bikes, you can actually pedal the TRS1 unpowered without much difficulty, or pedal above the supported max speed of 20 mph (32 km/h) without a sense of drag. 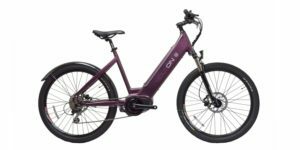 Yes, this ebike is priced higher than most comparable alloy cross country e-bikes. 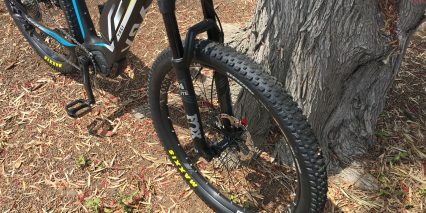 However, you do get a premium Fox air suspension fork, Deore XT hydraulic disc brakes with Ice-Tech rotors and finned calipers, as well as Ergon touch points, and a relatively high capacity battery. 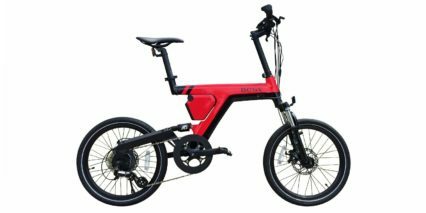 This is my favorite BESV electric bike to date, one that I could see myself enjoying around town and off-road thanks to the comfort, efficient drivetrain, ease of handling, and significantly reduced weight compared to other models. 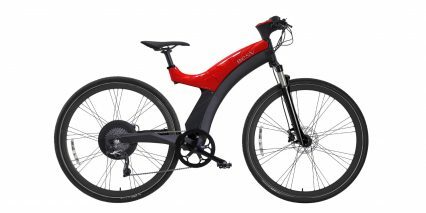 It’s much more of a bicycle than an electric bike, which is how the hub-motor powered models come off. Driving this ebike is the Shimano E8000 mountain bike specific mid-motor. Their previous (and still used) E6000 mid-drive focused on neighborhood and urban applications with up to 50 Newton meters of torque output and modest 100 RPM maximum pedal assist crank rotations. 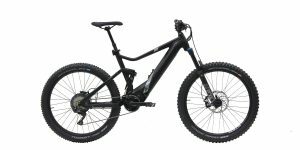 With the E8000, Shimano is targeting trail and mountain applications by delivering up to 70 Nm of torque and over 120 RPM pedal support to meet and exceed Bosch and Yamaha. For riders who like to spin, like myself, this is a wonderful thing. It means you can achieve higher top assisted speeds WITHOUT having to shift gears. That’s a big deal when navigating varied terrain with ups and downs, and it matches the cross country focus of the TRS1 perfectly. This motor It is not as smooth when engaging, there’s almost a click where the motor kicks in, but it does offer great power from standstill. When you reach the maximum assisted speed of ~20 mph, the motor cuts out a little quick… especially if you’re pushing hard on the pedals (which activates the torque sensor for more power). 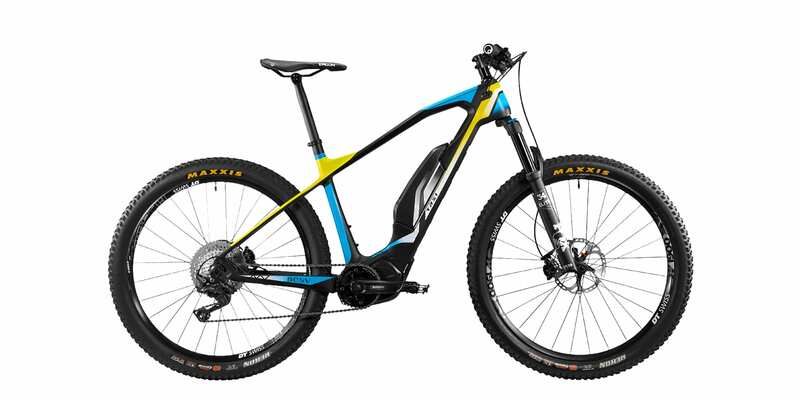 This isn’t a bad thing, it’s just different than Brose, which I consider to be the smoothest, and Bosch, which offers eMTB mode now for a wider range of power in a single assist setting. Just like those two, I believe that the the Shimano motor controller is listening for rear wheel speed, pedal cadence, and pedal torque. My favorite parts about this motor are how it looks, how little it weighs (6.35 lbs vs. 8.8 lbs on the Bosch CX), and the narrower Q Factor (crank spacing of 175 mm). 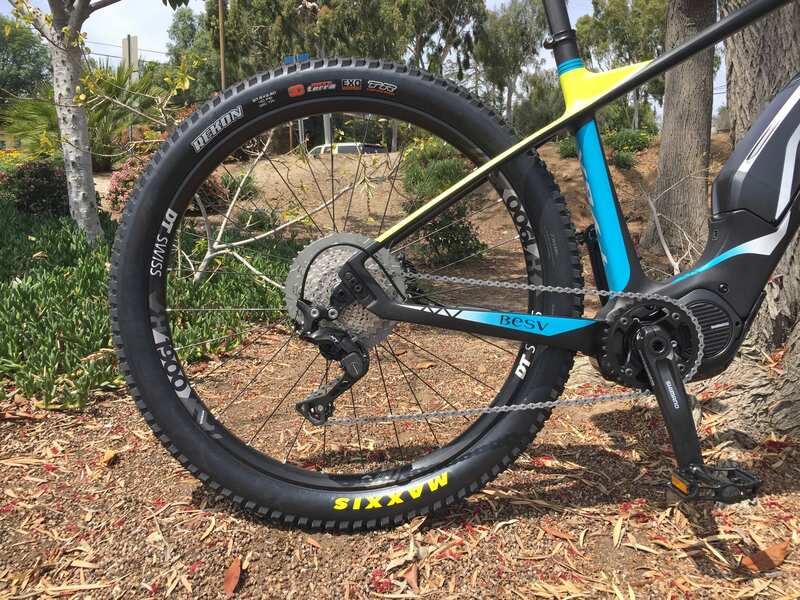 It was designed from the ground up to work with a standard sized chainring and not have a reduction gearing system that could create drag above assisted speeds, and to position the spindle further back to keep the chain stay distance short and provide a snappy ride experience. 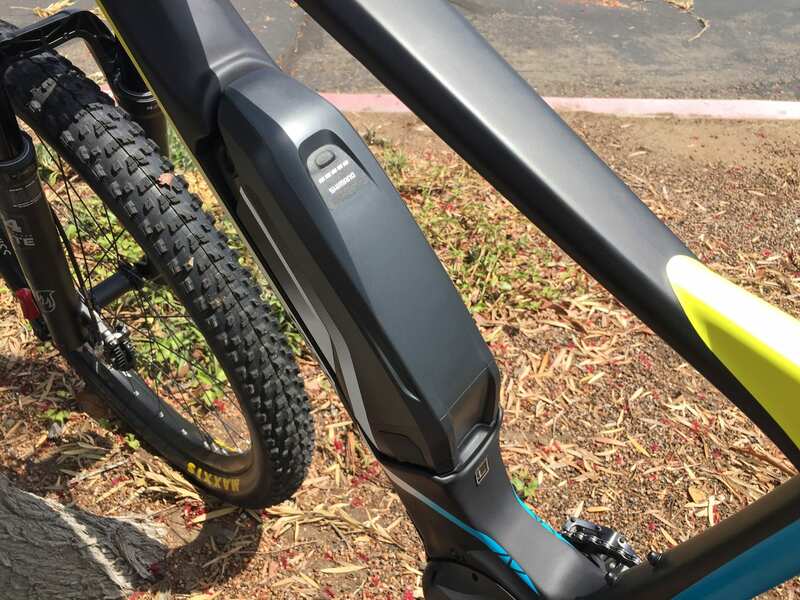 BESV is doing their best to keep the bike lightweight and balanced, but they included a plastic shield below the motor to protect it from rock and log strikes on the trail. 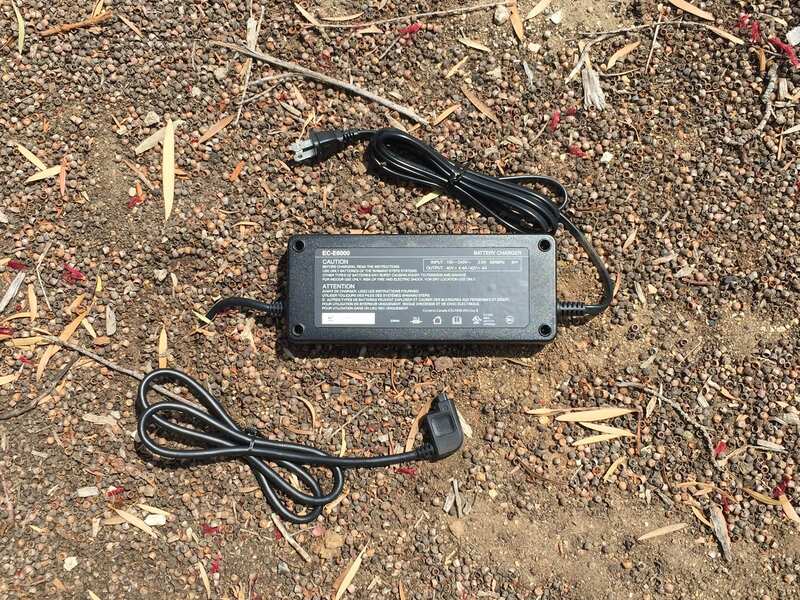 Powering the motor and color backlit LCD display is a 36 volt 14 amp hour battery pack called the Shimano BT-E8010. It offers a slightly higher capacity than the infamous Bosch PowerPack 500, and weighs about the same. 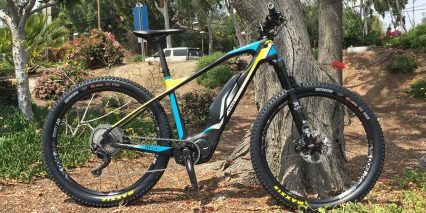 I love how the battery is blended into the downtube design and sunk low to improve weight distribution across the frame. 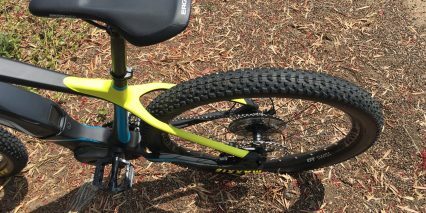 There’s plenty of room for a bottle cage or accessory on the seat tube bosses, and ample hanging space on the top tube (if you’ve got a rack for your car or take a bus or chair lift at resorts). Some lifts and racks now connect to the wheels of bikes vs. the frame, but it’s still nice to be able to pick this thing up and carry it on your shoulder over obstacles. Wiring is minimal, and it’s all neatly routed through the frame to reduce snags. 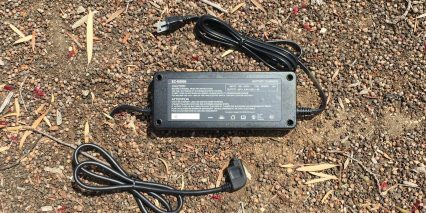 The battery can be charged on or off the bike frame and does not require a dongle adapter to do so. You plug into the exact same port, located on the lower left side of the pack. If you do need to remove the battery, it unlocks and slides out to the left side of the frame. 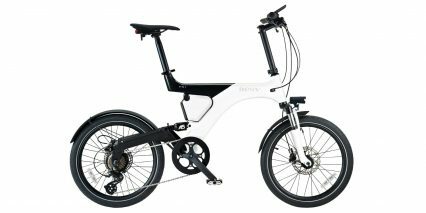 This is a great design because it reduces the potential for bumping the plastic shell of the battery up against the top tube, which frequently happens on the Bosch PowerPack and some others. The Shimano pack doesn’t have a big open loop handle at the top, so be careful when transporting it, but is easy enough to carry. My biggest gripe about the whole battery setup is that the charger is relatively heavy at ~2 lbs and much larger than the competition. You cannot unplug the wall side cord, so both cords stick out at either end and make it bulky to store in backpacks. At least it puts out 4 amps vs. just 2 amps on many competing systems… that means you can recharge and hit the trails again quickly. All in all, I’d give the battery implementation and performance a solid pass mark, because it looks good enough and is much more modular and extensible than a custom battery. In closing, it’s best to store your battery in a cool and dry location. Extreme temperatures can degrade the cells and if you allow the charge level to sink below 20%, it can begin to change the Lithium-ion chemistry. 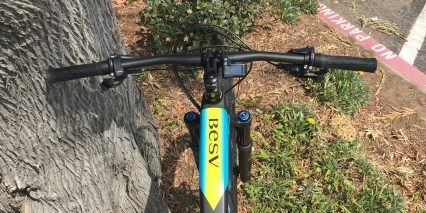 When it’s time to ride, the BESV TRS1 is easy to work with and offers a lot of great feedback through the compact Shimano Di2 color LCD. This is the same unit that non-electric bikes use for Di2 shifting. The TRS1 opted for a mechanically shifted Deore XT, as mentioned earlier, so the right triggers are longer and a bit different looking than the right ones. These control your assist level and do click, but are really just glorified buttons, its an excellent example of a skeuomorph (a derivative object that retains ornamental design cues (attributes) from structures that are inherent to the original). Before those big fake shifters can work however, you must charge and mount the battery properly, then reach down and press the power button on the top of the battery pack. This button is a bit less convenient than the reachable control pads that many competing bikes offer… and most of them have larger dedicated display panels. 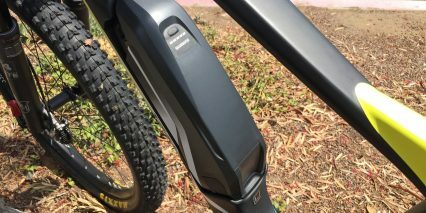 The upside with the Shimano display is that it blends in and might take less damage in the event of a crash. The downside is that it can be difficult to read if you’re near sighted. Since it’s mounted below the left side of the handlebar vs. on top and and in the center of the bar, there’s a bit more head motion required to look down. In practice, I think you’d probably skip looking at the display and focus instead on naturally shifting gears and listening for the beeps that are sounded whenever you change assist levels. The display is not removable, not easy to swivel if you’re getting glare or reflections, and you cannot change the menu readouts without taking one of your hands completely off the grip and pressing a tiny circle on the bottom edge of the unit. This little circle can be difficult to click if you’re wearing gloves, but it does offer some great menu options. My personal favorite are the dynamic range estimate (which changes as you adjust assist levels), and the pedal RPM meter. I used the later extensively when ride testing the bike and was able to measure motor feedback when pedaling beyond 130 RPM! Sweet… But still, I’d love to have a slightly larger, easier to reach version of this button on the top edge of the trigger buttons near the left grip. Sometimes I feel that Shimano is too purist and are making decisions for their customers instead of allowing them to choose for themselves. 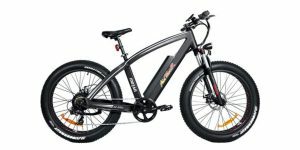 Case in point: they do not make or support Class 3 speed pedelec products. 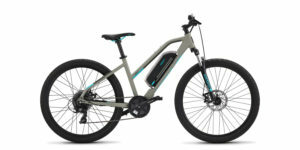 They do not include a USB port for charging your phone from the display or battery even though they have an optional smartphone app (that relies on Bluetooth to stay connected), their chargers are huge and used to require a dongle adapter, and their motors do not offer shift detection… even with Di2 electronic shifting. How was that overlooked?! They have both signals right there at their disposal, and they simply did nothing to marry them and protect your drivetrain. Come on Shimano, you’re one of the world’s leading bicycle companies. Please help us with these simple and obvious things that Bosch, Yamaha, Brose, and others are getting right. 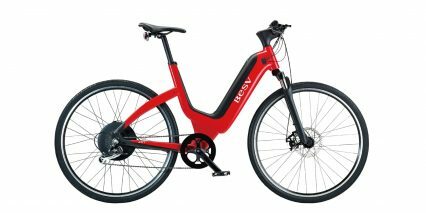 Well, I went on a bit of a rant there, but I really do like the BESV TRS1 electric bike. 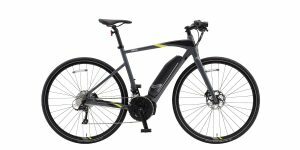 Despite the areas where Shimano could improve with its systems, the bike itself is fantastic and supported by a large reliable company (the parent company of BESV is called Darfon and makes batteries and solar panels, in business since 1997). I guess the reason I feel passionately about these little issues is because they are outside of BESV’s control. I love that they partnered so closely with Shimano, this company makes great products and is a big dime leader. I do feel that the bike needs a slap guard… and would recommend adding one yourself after market to avoid chipping the nice paint or carbon weave on the right chain stay. You can get a sticker one like this (and use the extra little stickers to protect other areas on the frame from cable rub) or go for a thicker neoprene guard like this. 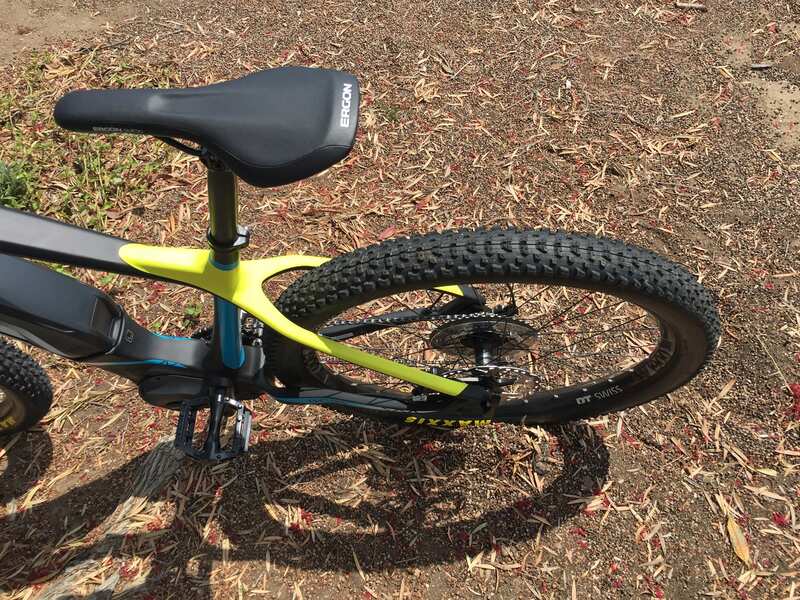 I would also probably get a suspension seat post to soften the hardtail feel. 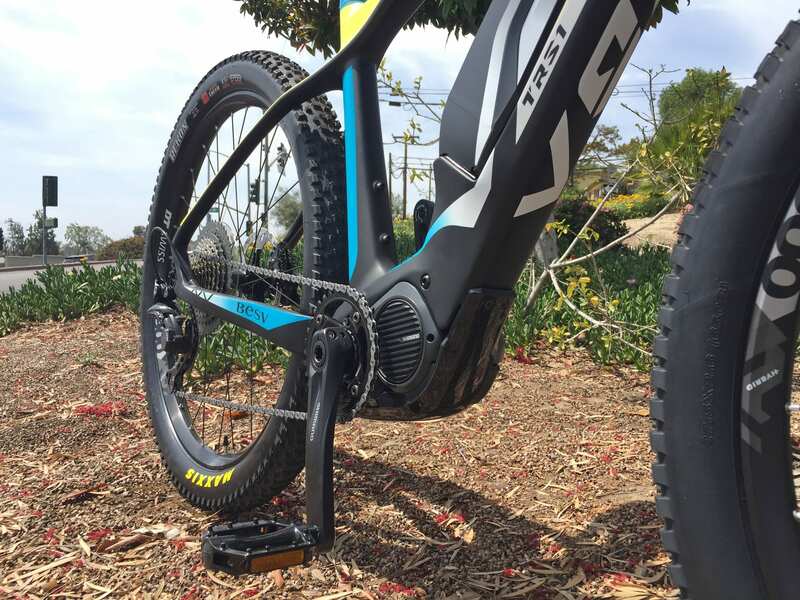 Kinekt offers a 31.6 mm product that would fit this bike and is highly adjustable and more responsive (and more expensive) than the others in the space right now. I appreciate that the locking core on the battery pack is spring loaded and that the pack can click in without the key. I love that you can hold the little circle button on the display panel to enter settings and turn off the electronic beeping noise (if it bothers you as much as it does me), and that the display uses color to help indicate assist levels at a glance vs. tiny text only. 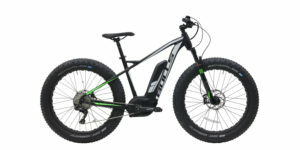 Big thanks to BESV for partnering with me on this review and to the Electric Bicycle Center for letting me test ride one of their demo bikes. Please chime in with your comments below or in the Shimano STePs or BESV forums and I’ll do my best to connect and provide answers or feedback. 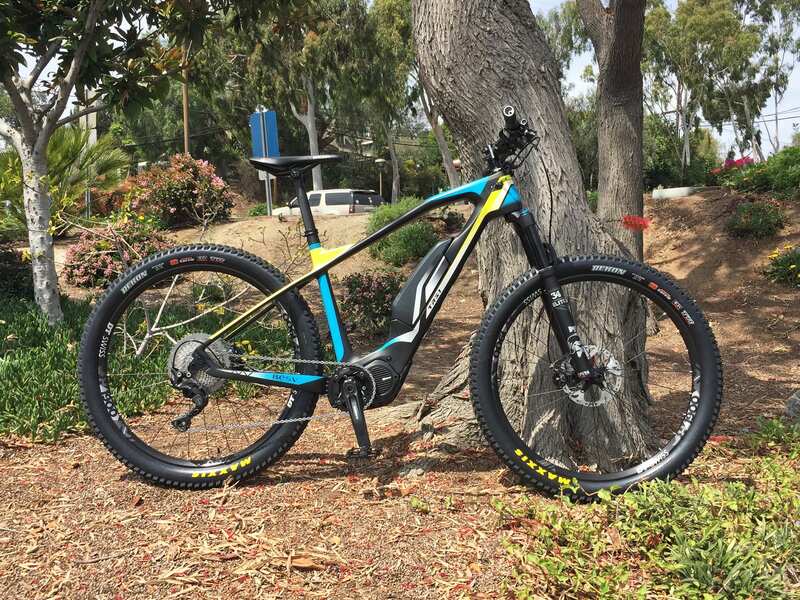 Note also, that the BESV TRS1 finished first in the EMTB race at Sea Otter Classic in 2018, here’s a short press release that they shared with me. While the battery pack used here isn’t as hidden as the Bosch Powertube, some of the Brose solutions, or the custom Shimano packs that Focus has launched, it does offer great capacity, is much easier and cheaper to replace, and still looks great while keeping weight low and center, there’s even enough room in the main triangle for bottle cage bosses on the seat tube!